Over the years many swimmers have come through the doors of the Discovery Aquatics studio. 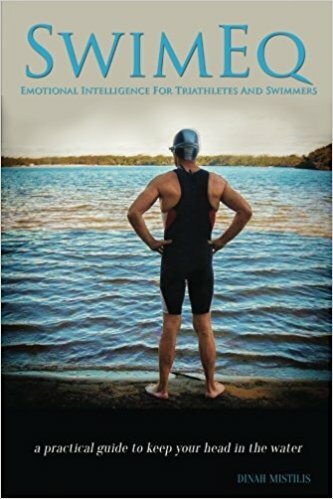 Each swimmer presents with their unique starting point – both physically and mentally – and each swimmer will learn at their own rate – physically, intellectually and emotionally. We are like learning snowflakes, no one is ever identical to another. There is one thing, a very simple thing, that most certainly can accelerate an athletes rate of learning and progress. Journaling. Those athletes who regularly journal or write about their swimming will progress faster in learning all aspects of swimming. It couldn’t get any easier – old fashioned pen and paper, a dedicated bound journal or a post-it note, your online blog or a journaling app – many ways to begin this fantastic habit. Choose your means of journaling and get started – don’t worry about grammar or spelling, just get going and start reflecting with words. There is one swimmer in particular who has made tremendous progress. At age 59, an adult onset swimmer, he has reaped the benefits of journaling after each of his swims. 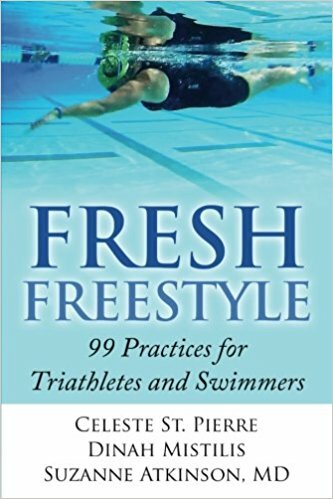 Recently we talked about how he can use his notes to find a feeling he may have lost in his swims, and how he can trace back to swims where he had moments of feeling effortless and what had contributed to that sensation. Here is a brief video to show where this swimmer came from and his swimming now. Its not all about the physical practice, a large part of this progress is due to the consistent reflections. By converting your thinking to writing, we can enhance the learning process. There are extra steps involved in the brain to get the words out, making learning more thorough and more sticky. Journaling can help us recall feelings associated with movements. Swimming is largely about feel as we can’t rely on our sense of vision to dictate or confirm movements. Writing down how the movement felt in your own style (could be a creative reflection e.g. my core rotation felt like damp towel being twisted to get the water out, or a direct feeling of body parts moving e.g. my core rotation felt like my high hip was sliding over, down, and forward in the same direction my hand was going) will help you find this sensation in future practices. Give your self-efficacy a boost. Documenting your successful swims will affirm that you can improve and achieve your goals. It will also give you confidence when you look back at all the progress you have made. Keeping a journal may help you make connections in your swimming you may otherwise overlook. By taking a few moments to think about what happened in your swims and why, you might have some revelations e.g. a swim that had you continually drifting off to one side of the lane may be due to a lead arm that is veering off its track. Journaling may help you put more effort into your swims. Knowing that the results will be documented may encourage you to be more consistent in your practices, and to make every practice meaningful. You will most likely become more focused too. Using written reflections will help you identify practice habits that give you best results – could it be a certain time of day or day of the week that you have best swims? You can use your journal to gain perspective. We all have bad days and bad swims. That does not mean we are bad athletes. On these days journal the results, but also take the time to read your other entries. Look at the bigger picture you have drawn about your swimming and yourself to keep things in check. I encourage you to get started and see what happens!